Crows are a big symbol in Vancouver. They are social, intelligent, and opportunistic. Their menacing blackness bisects the city when they make their daily migration to their night roost spot in Still Creek. Crows are fiercely protective of their young and will attack humans during breeding season. They also recognize their relatives and tend to steal less from them. 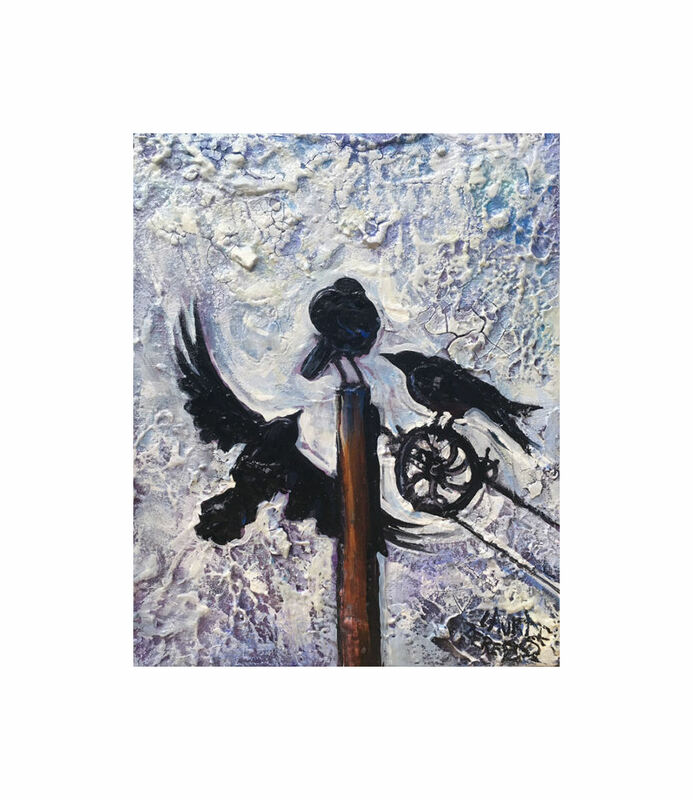 Crows represent our dark and feisty domestic urban lives.